Kyrgyzstan, one of the very first countries I travelled to back in 2005. What an experience it was, even for the most worldly of travellers, and especially a 15-year-old greenhorn like me. The highlights of our journey through Kyrgyzstan include a crazy taxi ride with what we assume must’ve been a drug dealer making stops along the way to Osh, horseback riding in the high valleys of Song Kol Lake and following the ancient Silk Road trail and exploring the markets. 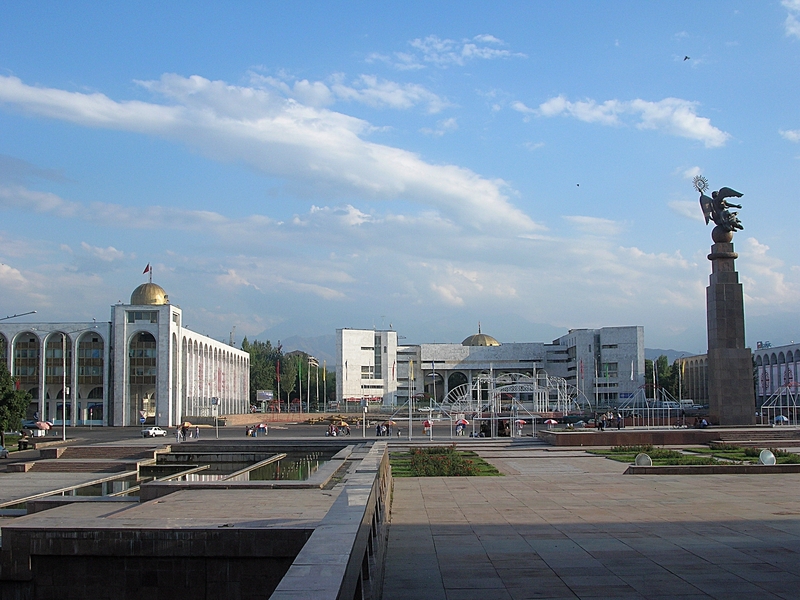 I write about our three weeks in Kyrgyzstan in my second book “Backpacks and Bra Straps”. Below you’ll find an excerpt from the book about our time at Song Kol Lake. My suggestion to you is, travel to Kyrgyzstan now while it’s still relatively untouched! On our way to Song Kol. Our camp in the middle of nowhere. The best horseback riding ever. Bre working on her journal in the Yurt. Stopping to help a little boy with his load. Gates on the entrance to Jalal-Abad, and Kurmanbek monument. On our way to the border of China. The Irkeshtam pass heading to China. Stay tuned for more #FridayFotos. Next week is Latvia . View more photos of Kyrgyzstan here..